We hope you join us for our Open House tonight. If you can’t come for the dinner, stop by to peruse the classrooms, view student portfolios and the beautiful art work the students have on display and more. Also featured this evening on the lower basketball court will be dance routines from Folklorico Mexican Dancers led by Dory Miller and Mrs. Collins Dance Class. Our local librarian and parishioner, Denise Stutzman will be on site to promote summer reading at the La Mesa Library. I hope you stop by to pick up material for your child’s summer enrichment. At the Catholic Educators Awards Dinner last week, Principal Toni Dimuzio was recognized for her retirement (43 years! ), VP Diane Hartley for 30 years of Catholic School Education & Nan Soto for 10 years of teaching at St. Martin Academy. All are welcome to celebrate the end of year Mass on June 1st at 8:30am next Friday & graduation Mass on June 8th at 3:00pm. Father Chris will be celebrating the Mass on June 1st which is being prepared by the Class of 2018. Father Chris will be leaving as of June 3rd. Father Pedro Rivera will be the celebrant for the graduation Mass on June 8th. 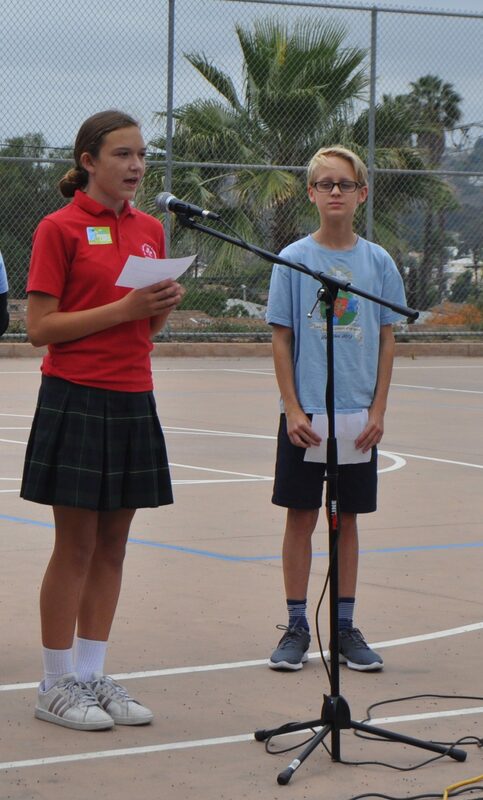 It is a beautiful cumulation of the eighth graders last year at SMA. We hope you come! 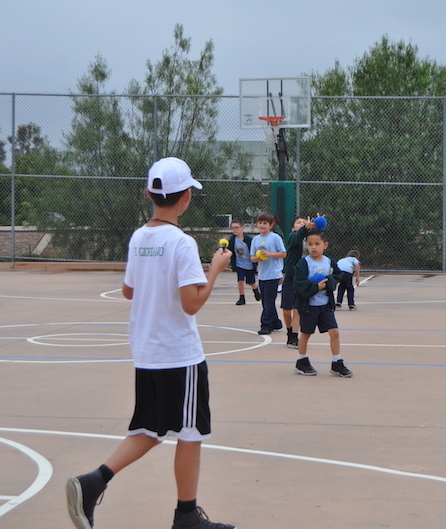 Recently, students in grades two through eight completed the third round of assessments. Your student’s assessments are enclosed. If you have any questions, please contact the teacher. This assessment is for your records only. Do not return them. Yearbooks will be distributed on Tuesday at a special assembly. We have yearbooks available for sale. There are not enough for each student in the school but there are a limited number of books that we hope to sell by Tuesday afternoon. If you have not purchased a yearbook for your child, please consider it. There will be time in the classrooms for students to sign the books in grades K-5 after the assembly. Grades 6-8 will be allowed to bring the yearbooks back to school for other opportunities to get autographs. ALL service hours need to be entered on line by next Thursday 5/31! Please go to the parent log in to record your volunteer hours. Friday, June 1st begins the 2018-2019 school year for service hour accountability. All daycare/tuition payments must up to date by May 31st. The LMSVSD will not be offering hot lunch service next school year due to our very low lunch orders. Please note that hot lunch was not listed on 5/31 lunch menu. It is nachos! 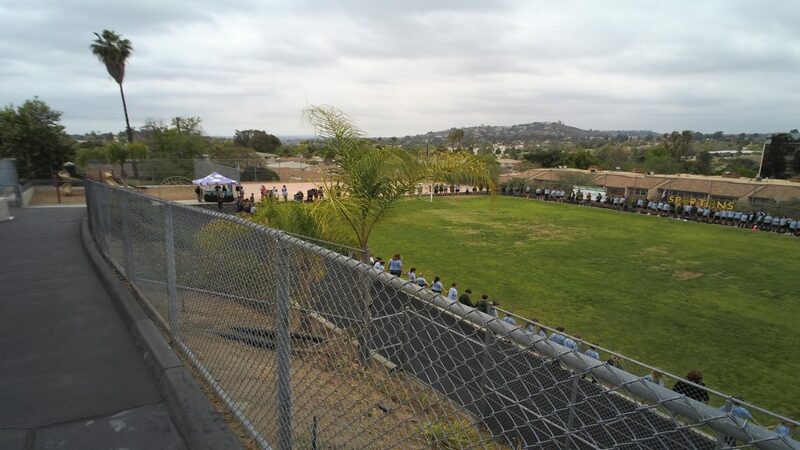 There is a special way to remember and honor loved ones who have been a part of our parish and school. Consider a brick inscribed with their name! An example would be: Class of 2018 • Alumni • In Memory Of • In Honor Of. The brick will be placed in the memorial wall of bricks located in the peace garden area behind the rectory. Inscriptions can include names, dates, quotes. These bricks are available in two sizes: 4X8 (donation $100) and 8X8 (donation $175) Order forms are available in the office and the school website. All students entering into 7th grade will need proof of an adolescent whooping cough booster immunization (called “Tdap”) before starting school. This requirement applies to all public and private schools. Information is enclosed for parents who have students in grade 6. 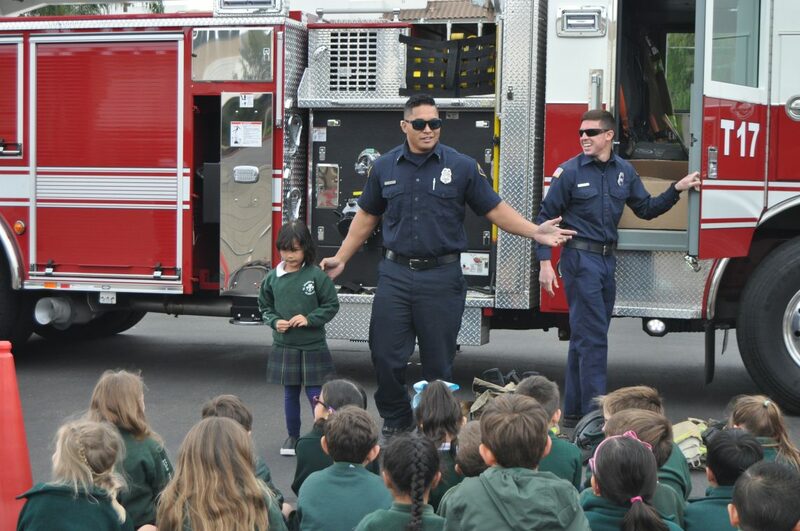 Fireman & parent Kalani Cabison, pictured with Skylar and fellow firemen from Fire Station 32, taught students in kindergarten & 1st grade the importance of fire safety & making a escape route with their families. 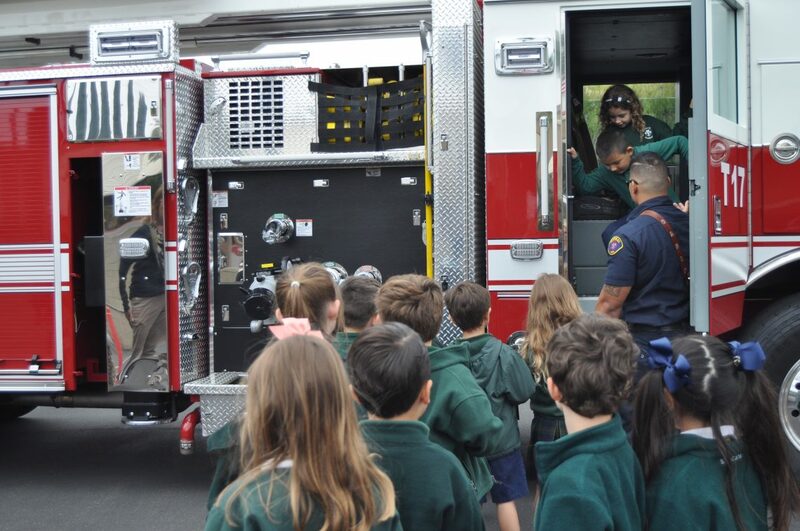 Students toured the truck, saw the “jaws of life” and were given backpacks with safety information, hats & stickers. 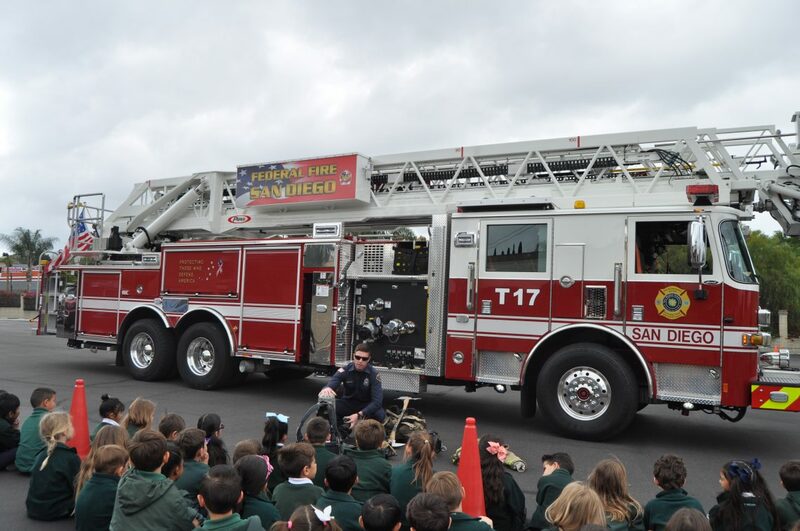 Thank you to our wonderful fire fighters and Fireman Kalani for coming to our school! World Fair Trade Day at SMA! 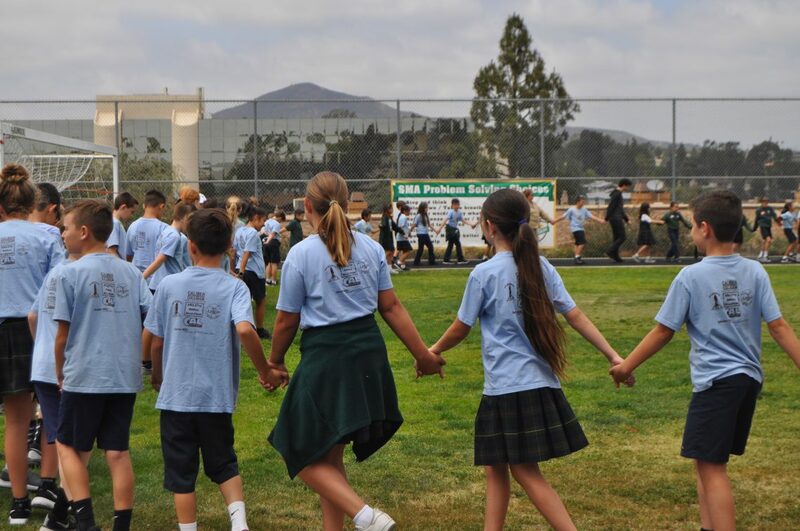 SMA celebrated World Fair Trade day by becoming “agents for change” and created a human chain around the field to educate students about being conscientious consumers. 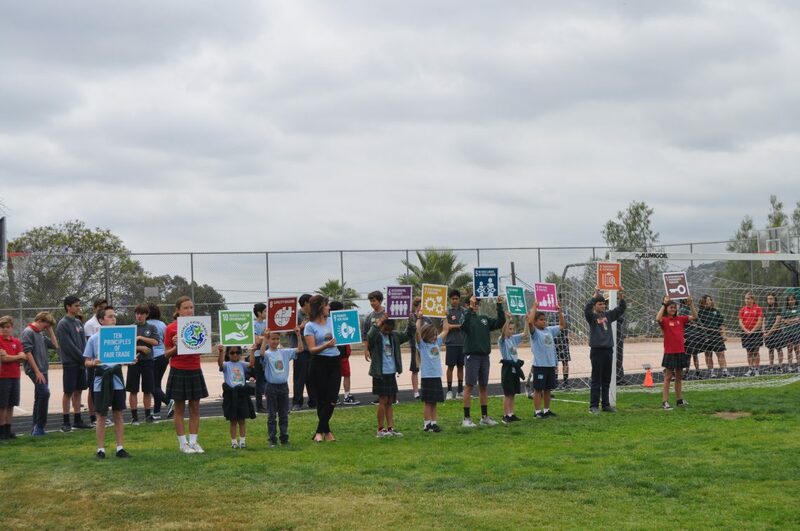 A huge thank you to Ben & Jerry’s Ice Cream Shop Seaport Village who scooped a few hundred cups of Fair Trade vanilla ice cream for all the students. 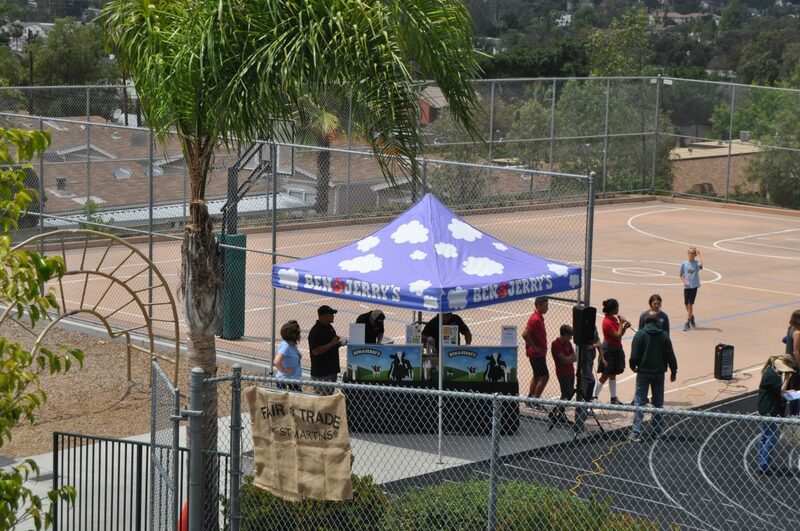 Thank you to the Fair Trade Committee, Jack Fleming for the drone & to all who made this event a success! 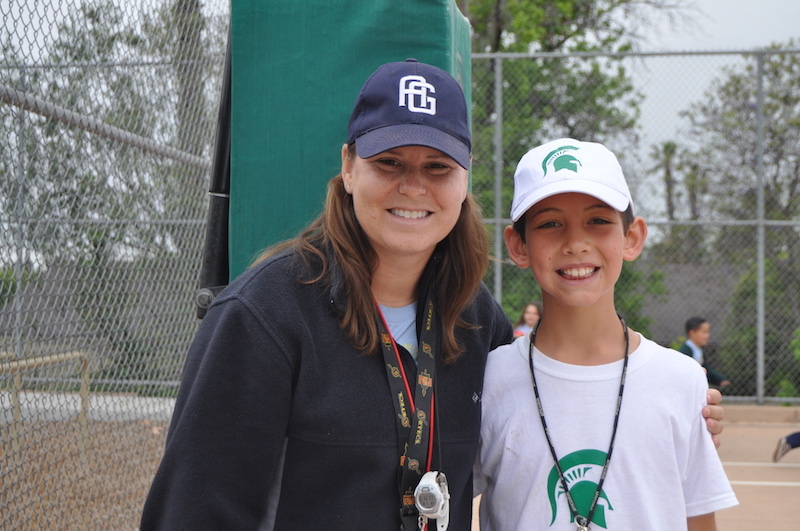 Kristian G. was coach for a day with P.E. teacher Mrs. Carpenter. 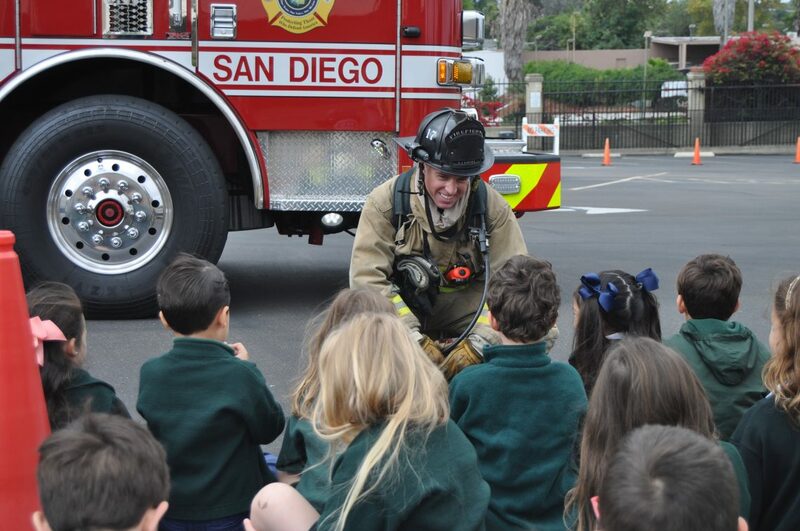 He spent the day with students in grades K-4 leading & instructing the classes on May 18, 2018! 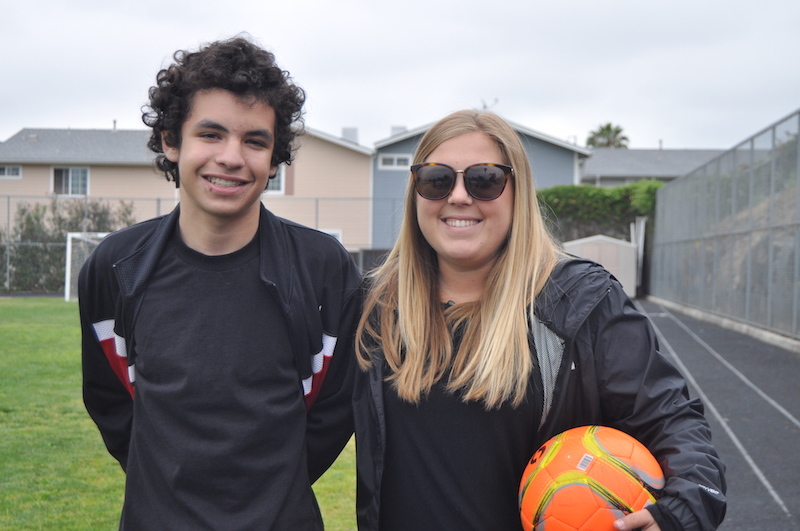 Carlo R. was coach for a day with Ms. Zoni. He spent the day with students in grades 5-8 in P.E. class! • Check “lost & found” bin before June 8th. Any items left behind are donated. • Check out SMA’s Facebook and Twitter social media pages! Please keep in your prayers. . .